It seems that feeding issues can be caused by the magazine spring being backwards. Are the two magazine side spring guides there? 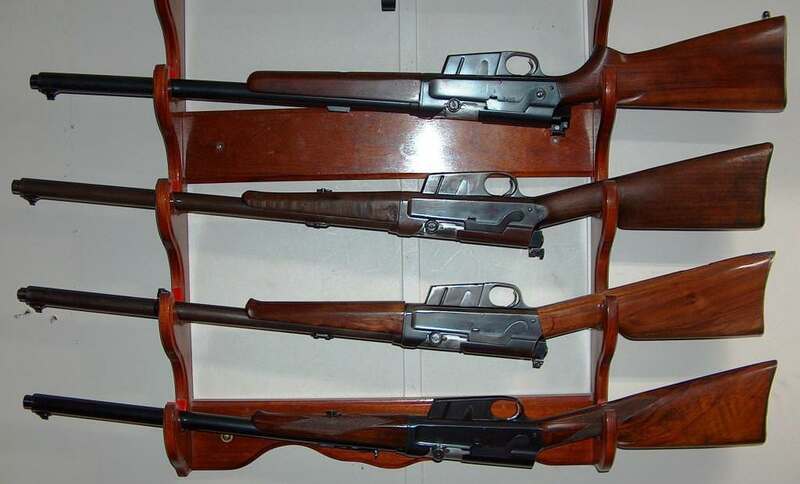 That's interesting my Model 8 25-35 was also made in 1908, 11932. Not as nice as your, bore is a little rough from the old corrosive ammo, but if I try real hard it will shoot pretty good with my loads. Mine had a tang sight, but I put a receiver sight on it. 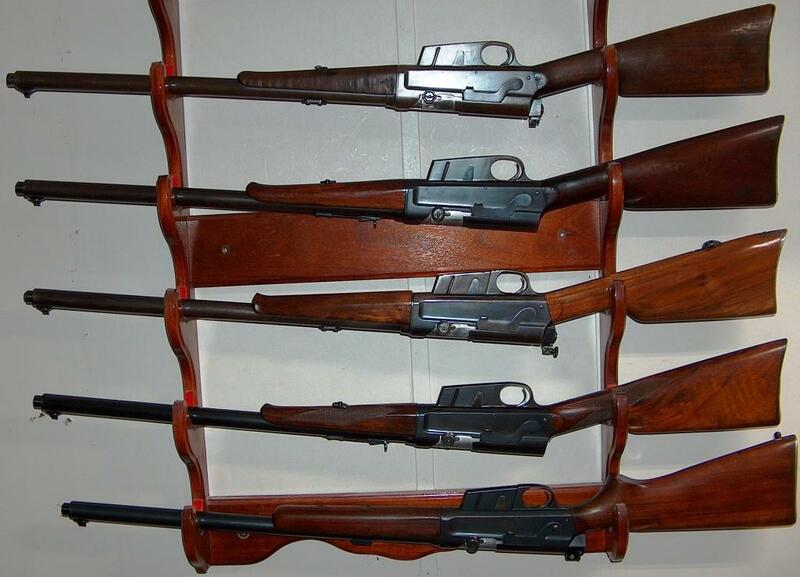 Here is a group photo of our Remington Model 8s and an 81. In 25-35, it is certainly worth a consideration to buy unless the price is overboard. It looks to me like a homemade stock and the wood doesn't even resembles walnut, and has a grain pattern much like more common woods used for general construction. If homemade it looks like a pretty good job. IMO it would be better to feed from the magazine as it seems that the cartridge rim can slip under the extractor rather then be forced over it. IIRC there should be a hammer bushing in these guns. I just so happen to have one hear in front of me, and yes it measures 11/32"
The 8 C we have seems to have a higher grade of wood on it. I know its factory because the cutout in the stock is marked 8 C.
Yea the 8 C gets a little attention here. Kind of sentimental to us seems in how we grew up with it. I have a takedown case but it kind of fell apart, I should get it restored. This is what we now have. I don't consider the stock question to be stupid, but don't know if a Model 11 will fit an 81. Looks like a pretty good condition one also. Topic: Williams rear central mount receiver sight serial # or designation? Re: Williams rear central mount receiver sight serial # or designation? The 8 & 81's are drilled and tapped for a tang sight. The receiver sights seem to be an afterthought and probably became popular after WWI. Unless the seller wanted a lot more with the Lyman tang sight you have went for it, as these sell for around $250.00 on eBay. I don't believe there is a firing pin spring in the Model 8, I just had a .30 Remington apart and there was no spring. We've had several of these 8 & 81's and the bolts were all in the white. The Redfield mounts on the tang sight hole but requires a secondary hole to be drilled on the top of the base. 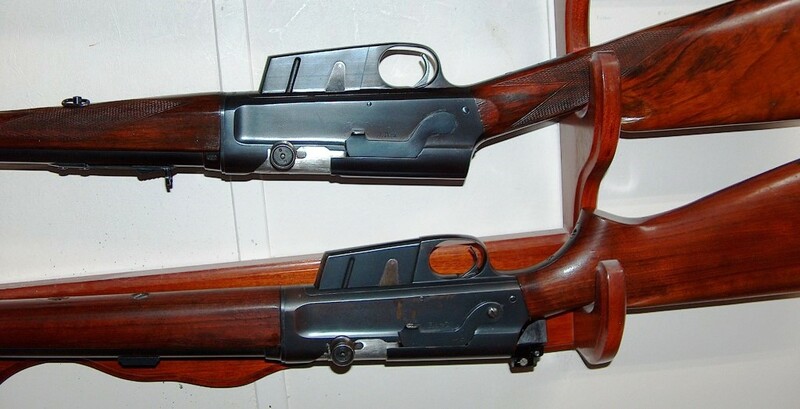 The Williams also mounts on the tang sight hole but requires that two more holes be drilled. The box for the Williams is marked: FP 81, with the 81 hand written. I thought they were varnished. I wouldn't even consider lacquer, either varnish or gun stock oil. 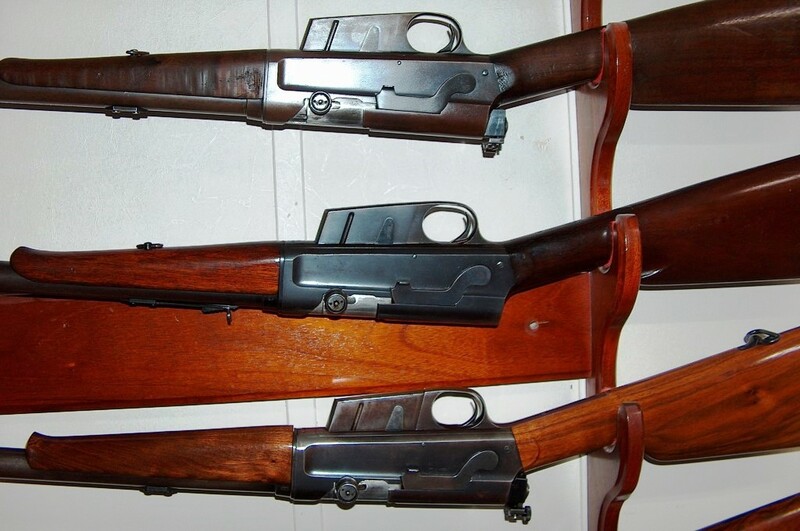 I have that Model 8 with the CBR stock and forearm and I need to put some finish on it. Yes it looks like the pin is mossing, not sure what its called but its the pin that goes through the trigger housing. You made out alright, that's a for sure. The receiver sight is a big plus imo they get premium bids on eBay.